Why you like architecture ? because it reflects the importance, creativity and dedication of a culture. Some of great architectural feats around the world can also may surprise you by their location. Here list of 10 spectacular Cliff-side towns in the world. 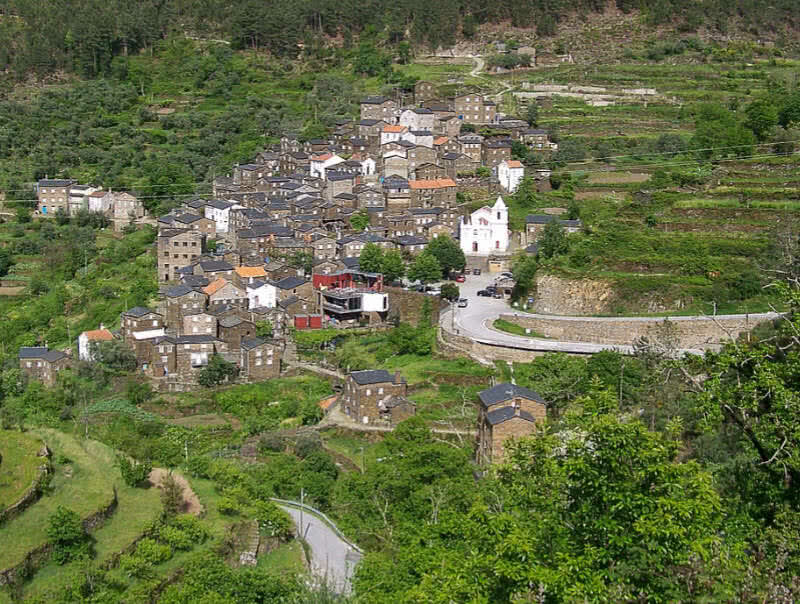 The Piodao is a breathtakingly beautiful village located in the mountains of Serro do Accor in Portugal. This beautiful mountainous area has a great abundance of schist stone. It is the main material used for the construction of Piodao village. These beautiful mountain houses also have wooden doors and blue colored windows. The remoteness, arrangement in the slope of a mountain and the uniformity in construction and color give a unique view to Piadao village. It looks like a surreal place when the village lights turn on at night. This magnificent view also gives the name of ‘Crib Village’ to Piodao. Today Piodao has 178 inhabitants in total. The old farming tradition still alive in Piodao village. Mining, agriculture and livestock are the main industries of Piodao town. 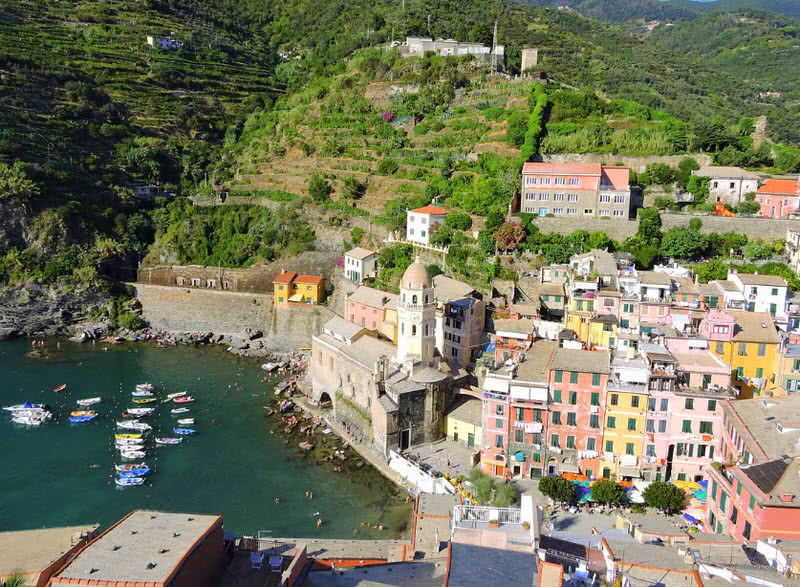 Vernazza is one of five beautiful coastal towns In Cinque Terre region in Italy. This medieval town was founded in the 10th century. The houses of this old fishing village located on a hillside. There is also a castle tower built back in the 11th century to protect the villages from the pirates. From the tower you can enjoy spectacular views of the sea and surrounding places. The town square of Vernazza, The Piazza include a number of restaurants and bars. From there you will also get a beautiful view of the harbor in the town. The church of Santa Marsherita di Antiochia that built on clifftop is another main attraction in this town. Santorini is a lovely crescent shaped Island located in Southern Agean Sea in Greece. This island consists of 15 stunning villages. Santorini is known for its whitewashed houses lining on the top of the cliffs. These colorful houses bring the rhythm of waves and view of stunning Sunset for the visitors. 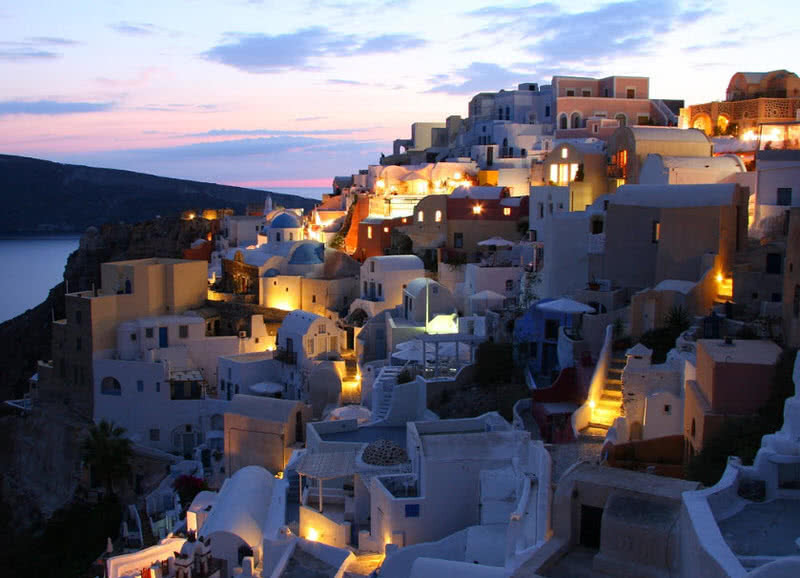 It is believed to be the trend of white coloration for the houses of Santorini started in the 19th century. Anyway it gives a homogeneity and unique look for the village. Today Santorini is a popular tourist destination in Greece. You can enjoy the unique experience of scuba diving, stunning view of Sunset and can taste delicious seafood in Santorini. Positano is a picturesque town on the Amalfi Coast in Italy. The town was built in cliffside and opens a breathtaking view to the Mediterranean Sea. 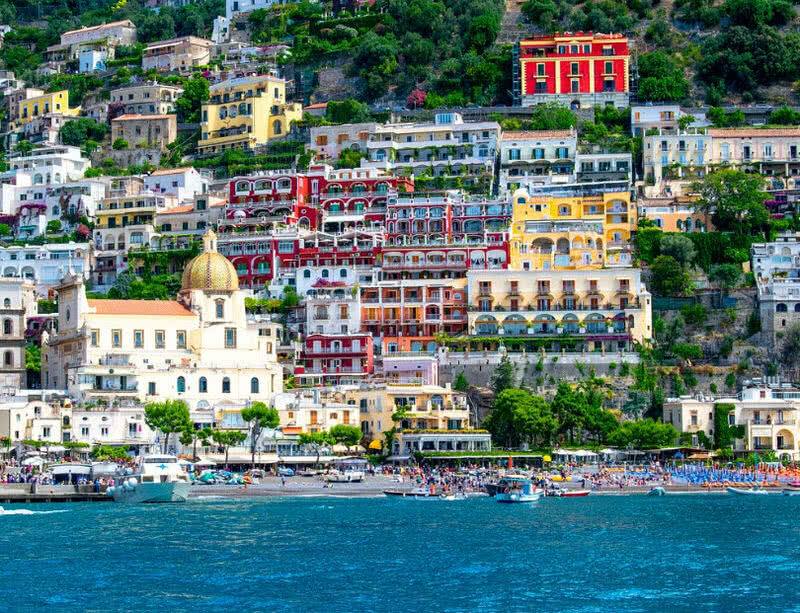 The arrangement of pastel colored houses on cliffside, crystal clear waters and sandy beaches makes Positano as one of the most romantic places in Italy. This town only covers an area of 8 square kilometers and has a population of 3968. The Santa Maria Assunta church with a beautiful majolica dome is the main attraction of this lovely place. The dome of Santa Maria Assunta church is also visible from many places. It is also a good place for hiking and to taste high quality seafood. Pitigliano is a small beautiful town located on the top of high tuffa cliffs in Southern part of Grosseto in Italy. This cliff top medieval town actually situated 313 meters above sea level. It is surrounded by beautiful green valleys and rivers. Pitigliano is also known as ‘Little Jerusalem’ or ‘Piccola Gerusalemme’ because of Jewish population settled in the town in the 15th century. 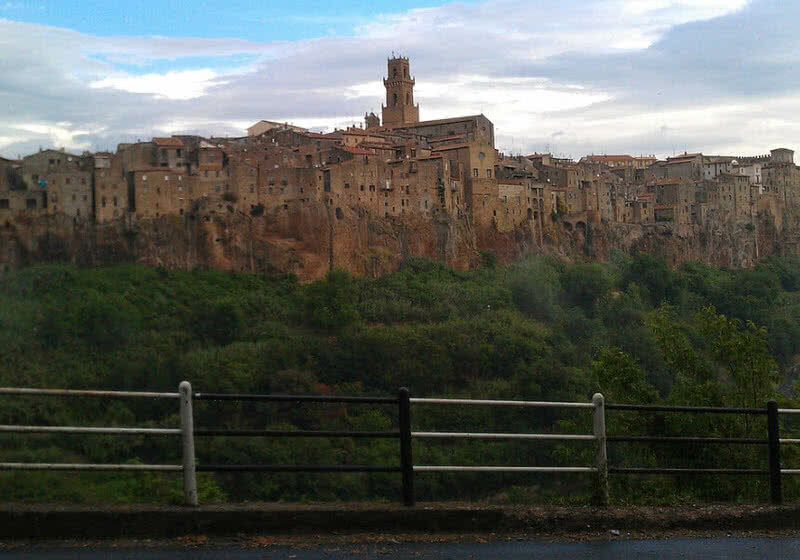 Today there are 300 houses in Pitigliano and has a population of 4014. There is only one entrance and exit in this amazing cliff top town. You can see lots of caves and tombs chiseled on the cliffs throughout the town, dates back to Etruscan civilization (768 B.C – 264 B.C). These caves were used as wine cellars for centuries. The Jewish Ghetto is another import attraction in Pitigliano. It displays the historical presence of Jews in the town. You can also see a 14th century fortress at the entrance of the town called Palazzo Orsini. Today it turned into a museum. It displays various art works, torture chamber and jewels from Etruscan civilization. Azenhas do Mar is an astonishingly beautiful hillside town, located in region of Lisbon in Portugal. 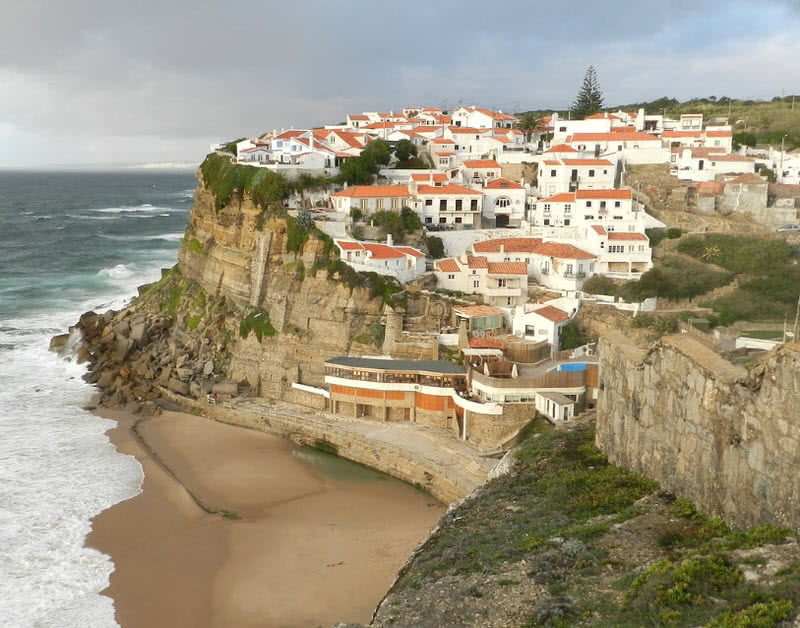 This beautiful town right on top of Atlantic Ocean bring beautiful view of Sunset and tides. The restaurants in the town known for its service and high quality seafood. 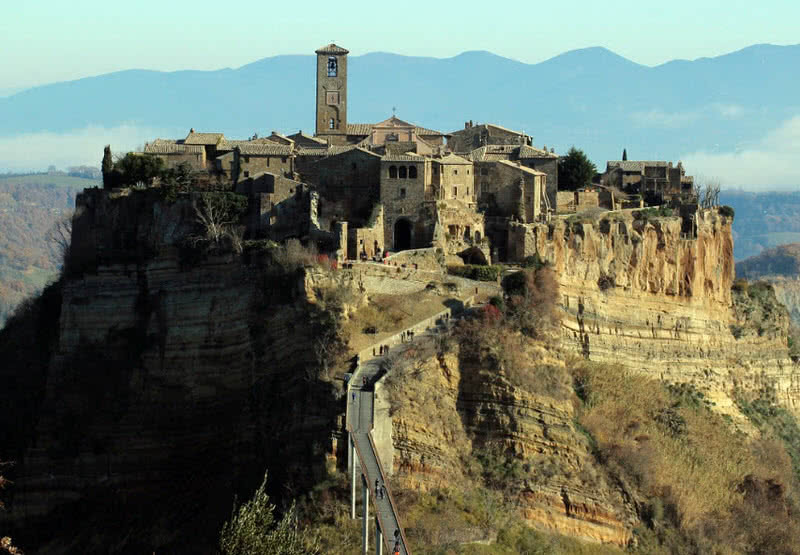 The stunning Civita di Bagnoregio town situated on the top of the vast canyon in Viterbo province of Central Italy. This town was founded by Etruscans 2500 years ago. Today this town is renowned for its historical architectural style and striking view Tiber river valley. Once a large community lived in Civita di Bagnoregio. But today there are only 6 residents remains in the city. It is because this city is in constant geological damage like earthquake and erosion. A quarter mile length foot bridge is the only way to access the city. 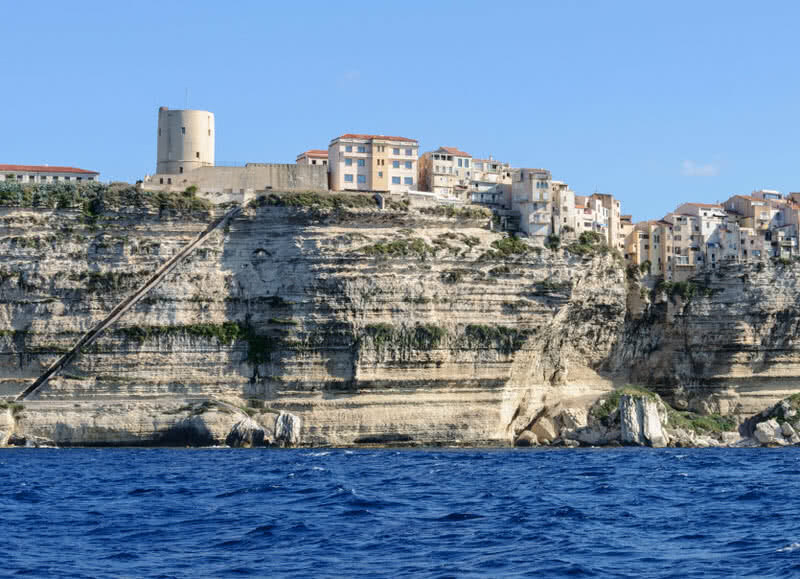 Bonifacio is the oldest town in the island of Corsica in France. This Medieval town was founded in A.D 830. The town is situated on the imposing limestone cliffs in the Southern end of Corsica Island, 70 meters above the harbor in the town. 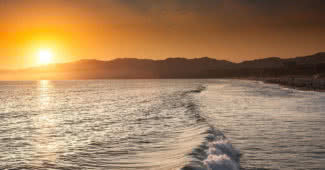 This picturesque town is surrounded by a number of renowned Mediterranean beaches. The Bonifacio town is renowned for its historic buildings, narrow cobbled streets, harbor and stunning view to the Mediterranean Sea. Today the town has a population of 2872. The cave shelter of Araguina-Sennola dates back to 6570 B.C and the tomb of Vasculacciu of Neolithic period are two important prehistoric sites in the town. Bonifacio also has two important historical religious centers – The church of Saint Dominique and church of Sainte-Marie-Majeure, built back in the 12th century and 13th century respectively. There is also a stone cut staircase to access the cliff-top town from the sea. The visitors have to climb 187 steps to reach the top from the sea. 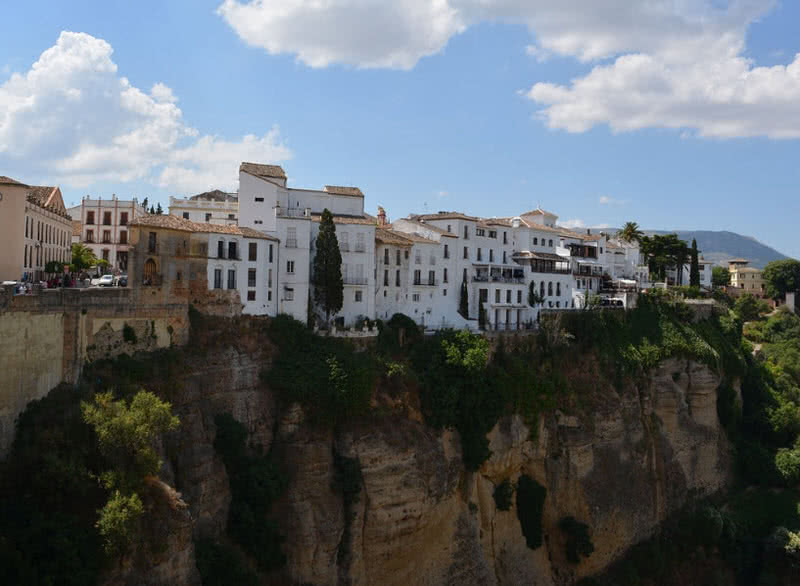 The historic town of Ronda renowned for its setting atop of deep gorge EI Tajo in Malanga province of Spain. The town situated at an attitude of 739 meters. The 98 meters wide gorge also divided the city into two different regions. It is connected by a round arched bridge built back in the 18th century. The architectural style of the bridge and setting of the town in a natural environment is absolutely a breathtaking scene. Ronda is one of the oldest towns in Spain, founded in 9th century B.C. There are also many prehistoric settlements from the Neolithic period discovered from nearby places of the town. The 20000 years old rock paintings of Cueva de la Pileta is the most important one. Today Ronda town has a population of 35000. The most popular landmark of Ronda – The Puente Nuevo bridge itself is the best spot from where you can enjoy the beauty of EI Tajo gorge. The Plaza de Toros bullring is another major attraction of Ronda. It was built back in 1785 and has a seating capacity of 5000. The 14th century Mondragon palace in Ronda now houses the municipal museum. You can see many important things from Ronda’s history including the Roman and Moorish tombs. You can also see some magnificent gardens around the palace. 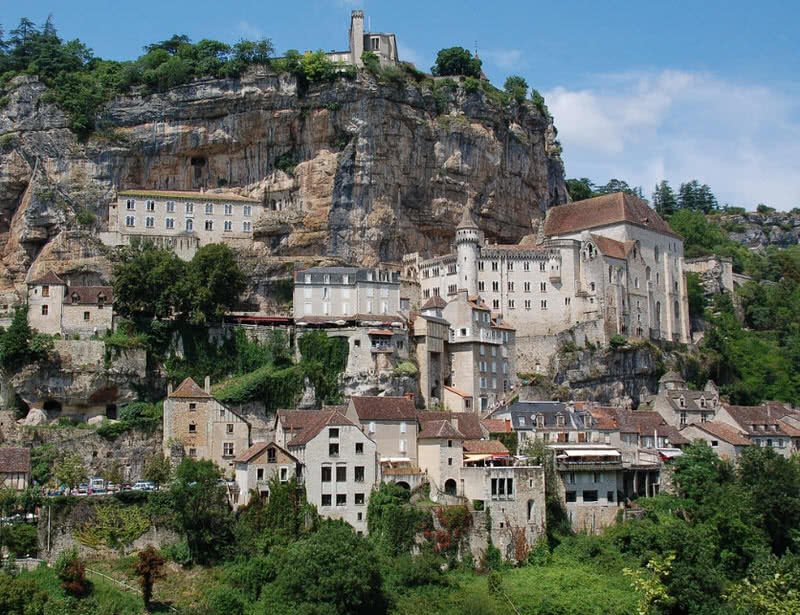 Rocamadour is a beautiful village in the Lot department of the Quercy province of France. It is a popular pilgrimage center and also known for its setting on atop of a gorge above river Dordogne. The Medieval houses and stands at height of 120 meters. The popular pilgrimage center of the town Shrine of our lady of Rocamadour attracts about 1.5 million visitors every year. The pilgrims have to climb 216 steps to reach the chapel at the top of the gorge. The shrine of black virgin of the chapel dates back to the 9th century. This shrine is known for its healing powers for 1000 of years. Many important people including Hentry II of England, Blanche of Castille, Charles IV of France and Louis XI of France visited the Shrine of Rocamadour over the years. Besides the religious interest Rocamadour is also popular among tourists for its historical importance, architecture and of course for the spectacular view of Alzou valley.